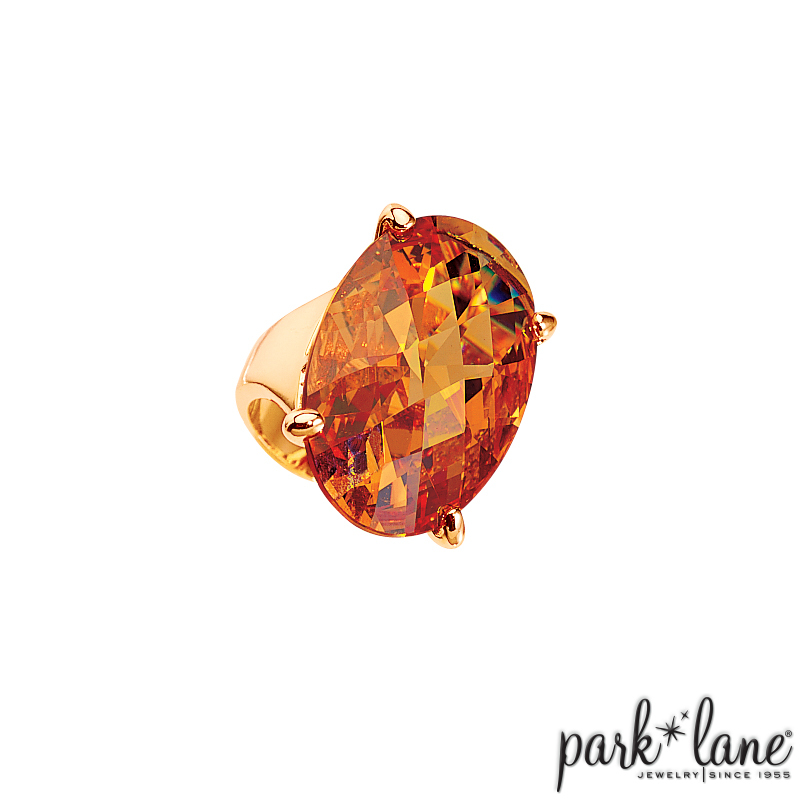 If you think that gorgeous Mandarin ring made an impact, just wait until you see the rest of Mandarin accessories! Let`s add a mega-size CZ pendant on a golden chain, matching oval earrings and a sensational jeweled cuff bracelet. Step out and stand out in Mandarin! Complementing jewelry: Earrings: Déjà Vu-peach, Spotlight, Razzle-topaz, Fabulous Bracelet: Spotlight, Terrazzo, Samba, Signature, Ambrosia Ring: Cheers, Fabulous Watch: Latin Beat Mandarin ring and bracelet complement Monaco, Fabulous, and Ambrosia ensembles.